Greetings crafty friends! 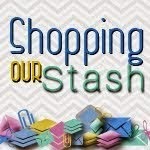 Thanks for coming back to visit for the new SHOPPING OUR STASH challenge this week! This week's theme is Opposite Day. The SOS Crew would like you to use something that is opposite of your usual style. For example, if you are usually CAS, use a really frou-frou ribbon. For me this was a pretty easy challenge...there are lots of things I never attempt on cards. 1. I don't tend to use a lot of design paper on cards. If I do, I NEVER use contrasting papers on the same card. 2. I have the world's shakiest hands, so I don't ever draw borders on cards. Be sure to check out the SOS BLOG for all the details on this challenge and while you are there be sure to show my teammates some crafty lovin! 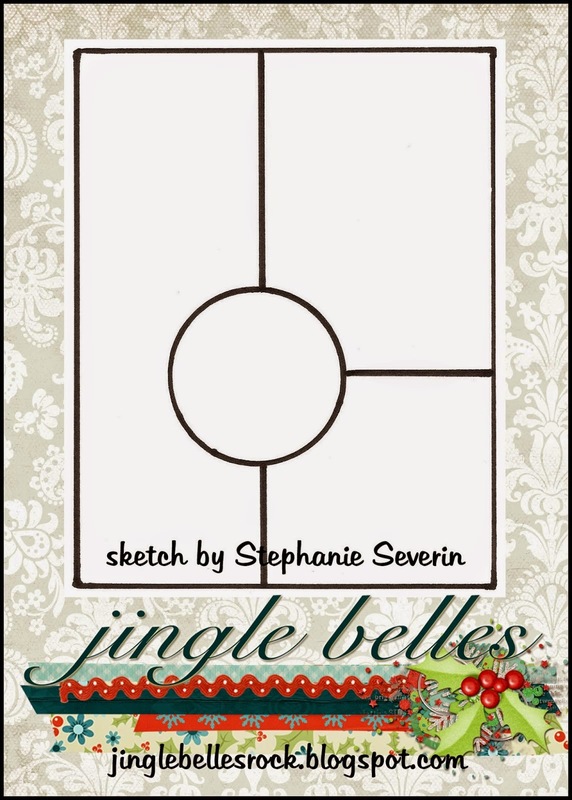 I used the most recent JINGLE BELLES sketch below as the basis for my card. I'd like to enter my card in the Jingle Belles We Wish You a Merry Sketchmas challenge. Nicely done with the patterned papers! This is also such a great sketch, I need to remember to play this week. Also, BONUS for drawing the border. I keep forgetting to do that, too. I see I was a few pace behind you this morning! I love your project and the papers you chose are just perfect. The sketch is also ideal for your new expanded horizons. Very nicely done! So obviously you can now incorporate lots of patterned papers and hand-drawn borders in your cards, because this one turned out great! 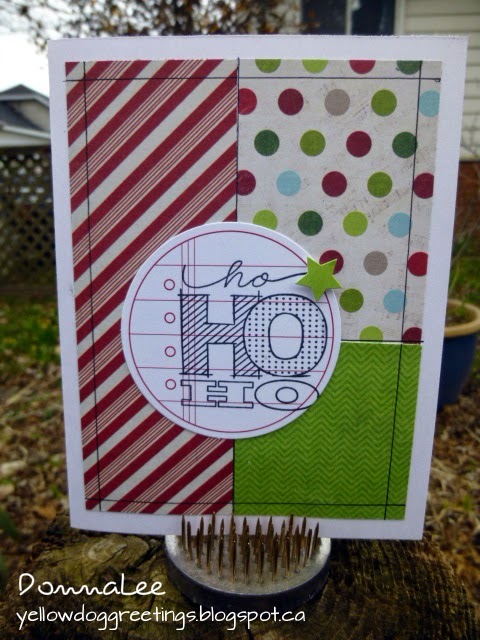 I love that graphic ho ho ho ... so very glad you created with our sketch at jingle belles. A very successful go at making it different from your usual style! The lines look great! The drawn border is just perfect with the sentiment on the notebook paper - go you! !